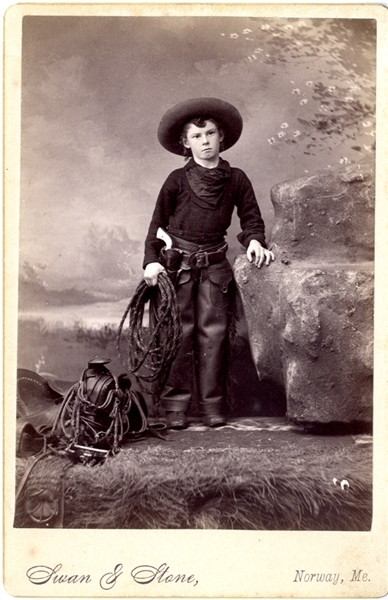 Cabinet Card Photo of a teenage boy, fully dressed as a cowboy, with holstered gun, rope in hand, kerchief and wide-brimmed hat, saddle at his feet. Swan and Stone photographer, Norway, ME. Most likely a Wild West performer for a smaller traveling show. Nice chocolate tone. Manuscript on the verso, Curley the Kid.